The June Uprising (Lithuanian: birželio sukilimas) was a brief period in the history of Lithuania between the first Soviet occupation and the Nazi occupation in late June 1941. Approximately one year earlier, on June 15, 1940, the Red Army invaded Lithuania and the unpopular Lithuanian Soviet Socialist Republic was soon established. Political repression and terror were used to silence its critics and suppress any resistance. When Nazi Germany attacked the Soviet Union on June 22, 1941, a diverse segment of the Lithuanian population rose up against the Soviet regime, declared renewed independence, and formed the short-lived Provisional Government. Two large Lithuanian cities, Kaunas and Vilnius, fell into the hands of the rebels before the arrival of the Wehrmacht. Within a week, the German Army took control of the whole of Lithuania. The Lithuanians greeted the Germans as liberators from the repressive Soviet rule and hoped that the Germans would re-establish their independence or at least allow some degree of autonomy (similar to the Slovak Republic). No such support came from the Nazis, who steadily replaced Lithuanian institutions with their own administration. The Reichskommissariat Ostland was established at the end of July 1941. Deprived of any real power, the Provisional Government disbanded itself on August 5. 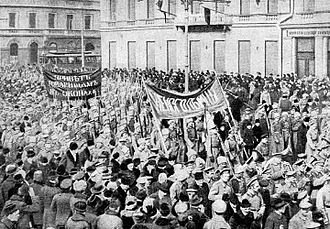 In 1918, Lithuania achieved independence in the aftermath of the First World War and the Russian revolution and secured its statehood during the Lithuanian Wars of Independence. Initially prior to World War II, Lithuania declared neutrality and its Seimas passed the neutrality laws. Though, on the eve of World War II, as the geopolitical situation in the region started to change, Lithuania was forced to accept the ultimatums of the neighboring countries. On 17 March 1938, Poland delivered an ultimatum calling for diplomatic relations. Although practically it meant Poland's "refusal" of Vilnius, Lithuania had also sought to restore relations with its neighbor, and accepted the ultimatum. On 20 March 1939, Lithuania was handed an ultimatum by Nazi Germany. A request was made to transfer the Klaipėda Region to Nazi Germany. Two days later, without seeing the way out, the Lithuanian government signed the agreement. Just after the beginning of the World War II, on September 2, 1939, Lithuanian Consulate was opened in Vilnius. The consulate was the first in the world to grant Visas For Life for the Jews and also saved many Polish war refugees. By doing so, Lithuania continued to actively protect its Jewish citizens from the Holocaust. Back in 1934 it sent an official note to Nazi Germany warning not to take action against the Jews who resided in the country that were citizens of Lithuania. Another large neighbor — the Soviet Union also began preparing for the occupation of the Lithuania's territory. On 7 October 1939 the Lithuanian delegation departed to Moscow where they later had to sign the Soviet–Lithuanian Mutual Assistance Treaty due to the unfavorable situation. The treaty resulted in five Soviet military bases with 20,000 troops established across Lithuania in exchange for the Lithuania's historical capital Vilnius. According to the Lithuanian Minister of National Defence Kazys Musteikis, Lithuanian Minister of Foreign Affairs Juozas Urbšys initially told that Lithuanians refuses Vilnius Region as well as the Russian garrisons, however then nervous Joseph Stalin replied that "No matter if you take Vilnius or not, the Russian garrisons will enter Lithuania anyway". 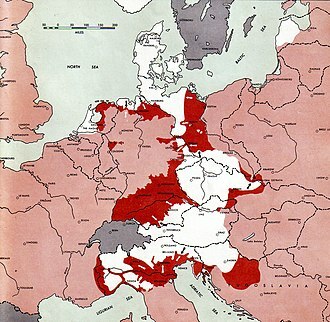 He also informed Juozas Urbšys about the Soviet–German secret protocols and showed maps of the spheres of influence. Two of the military bases with thousands of Soviet soldiers were established close to Kaunas in Prienai and Gaižiūnai. Despite regaining the beloved historical capital, the Presidency and the Government remained in Kaunas. The next step made by the USSR was accusations of the abduction of the Red Army soldiers in Lithuania. Although the Lithuanian government denied such allegations, the tensions became heightened on both sides. On 14 June 1940, the USSR issued an ultimatum to Lithuania, demanding to replace the government and allow Red Army's units to enter the territory of Lithuania without any prior agreements, which would mean the occupation of the country. On 14 June 1940 just before midnight, the last meeting of the Lithuanian Government was held in the Presidential Palace, in Kaunas. During it, the Soviet's ultimatum was debated. President Antanas Smetona categorically declined to accept most of the ultimatum demands, argued for military resistance and was supported by Kazys Musteikis, Konstantinas Šakenis [lt], Kazimieras Jokantas [lt], however the Commander of the Armed Forces Vincas Vitkauskas, Divisional general Stasys Raštikis, Kazys Bizauskas, Antanas Merkys and most of the Lithuanian Government members decided that it would be impossible, especially due to the previously stationed Soviet soldiers, and accepted the ultimatum. On that night, the Soviet forces executed Lithuanian border guard Aleksandras Barauskas [lt] near the Byelorussian SSR border. 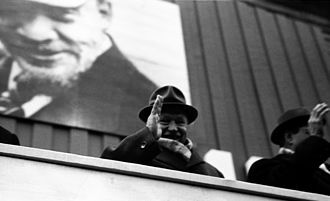 In the morning, the Lithuanian Government resigned while the president left the country to avoid the fate of the Soviet's puppet and hoping to form the Government in exile. Soon the Red Army flooded Lithuania through the Belarus–Lithuania border with more than 200,000 soldiers and took control of the most important cities, including Kaunas where the heads of state resided. The Lithuanian Armed Forces were ordered not to resist and the Lithuanian Air Force remained on the ground. At the time, the Lithuanian Armed Forces had 26,084 soldiers (of which 1,728 officers) and 2,031 civil servants. While the Lithuanian Riflemen's Union, subordinate to the army commander, had over 62,000 members of which about 70% were farmers and agricultural workers. 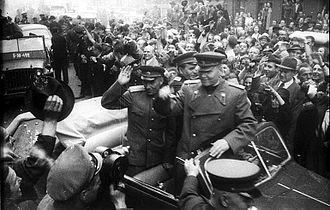 After the occupation, the Soviets had immediately taken brutal actions against the high-ranking officials of the state. Both targets of the ultimatum: the Minister of the Interior Kazys Skučas and the Director of the State Security Department of Lithuania Augustinas Povilaitis were transported to Moscow and later executed. Antanas Gustaitis, Kazys Bizauskas, Vytautas Petrulis, Kazimieras Jokantas [lt], Jonas Masiliūnas [lt], Antanas Tamošaitis [lt] also faced the fate of execution, while President Aleksandras Stulginskis, Juozas Urbšys, Leonas Bistras, Antanas Merkys, Pranas Dovydaitis, Petras Klimas, Donatas Malinauskas and thousands of others were deported. Stasys Raštikis, persuaded by his wife, secretly crossed the German border. 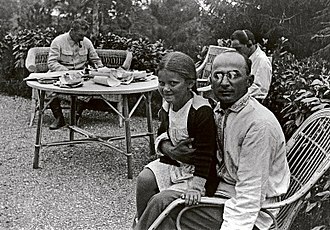 After realizing it, NKVD started terror against Raštikis' family. His wife was separated from their 1-year-old daughter and brutally interrogated at Kaunas Prison, and his father Bernardas Raštikis, three daughters, two brothers and sister were deported to Siberia. 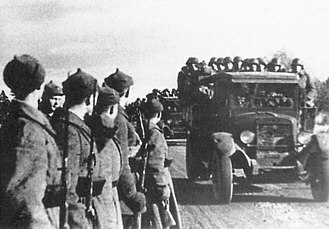 Soldiers, officers, senior officers and generals of the Lithuanian Army and LRU members, who were seen as a threat to the occupants, were quickly arrested, interrogated and released to the reserve, deported to the concentration camps or executed, trying to avoid this many joined the Lithuanian partisans forces. The army itself was firstly renamed to the Lithuanian People's Army, however later it was reorganized to the 29th Rifle Corps of the Soviet Union. Sovietization was started right away. New power banned opposition, its press, and organizations and also restricted ties with foreign countries. Shortly, on 17 June 1940 the puppet People's Government of Lithuania was formed, which consistently destroyed Lithuanian society, political institutions and opened the way for the Communist Party to establish itself. In order to establish the legitimacy of the government and design the plans of Lithuania's "legal accession to the USSR", on July 1, the Seimas of Lithuania was released and the forced elections with falsified results to the People's Seimas were organized, which were won by the Lithuanian Labor People's Union and Justas Paleckis was chosen as the illegal Prime Minister and President of Lithuania. The new government obeyed the occupiers' proposal to "ask" the Soviet authorities to have Lithuania admitted to the Soviet Union. The Lithuanian nation was unable to resist the implementation of Sovietization, including nationalization, nor prevent the mass arrests of political activists and others dubbed "enemies of the people". Nor could they prevent the closing of all cultural, religious and political organizations. The economic situation steadily worsened and the standard of living decreased. A year later, just a week before the uprising, some 17,000 Lithuanians, mainly the intelligentsia, were taken with their entire families and deported to Siberia, where many perished due to inhumane living conditions (see the June deportation). It was the single major event that incited popular support for the uprising. That tragedy initially also garnered a positive predisposition toward the German invasion. People who escaped the deportations or arrests spontaneously organized themselves into armed groups, hid in the forests, and waited for a wider uprising. The ultimate goal of the Lithuanian Activist Front (LAF), formed in the fall of 1940, was to re-establish Lithuania's independence. Commanded by Kazys Škirpa in Berlin, the LAF sought to unify Lithuanian resistance, and organize and conserve resources for the planned uprising against the Soviets. It acted as an umbrella organization and many groups used the name of LAF even though they were not connected with the LAF in Berlin. The LAF established its military–political headquarters in Vilnius and organizational headquarters in Kaunas. The communication and coordination between these centers in Berlin, Kaunas, and Vilnius was rather poor. The headquarters in Vilnius suffered heavily from Soviet arrests, especially in early June 1941, and became largely defunct. Most of those arrested activists were executed in December 1941, in Russia. In March 1941, the LAF in Berlin published a memorandum, titled Brangūs vergaujantieji broliai (Dear Enslaved Brothers), with instructions on how to prepare for the war between Nazi Germany and the Soviet Union. The rebels were asked to secure strategic objects (prisons, railroads, bridges, communication hubs, factories, etc. ), guarding them from potential sabotage by the retreating Red Army, while Central Headquarters would organize a Provisional Government and declare independence. In April, a list of the members of the Provisional Government, which would declare Lithuanian independence, was compiled. The Prime Minister's post was reserved for Škirpa, four ministers were from Vilnius, six from Kaunas, and one from Berlin. The members represented a wide spectrum of pre-war political parties and, as such, claimed to represent a majority of the Lithuanian people. It has been suggested that not all of the designated Ministers knew about their proposed appointments in the Provisional Government. On June 14, the Nazi authorities in Berlin insisted that Škirpa and his activists not form any government or make any public declarations without their prior approval. Škirpa agreed to this, but he had very little control over the activists in Lithuania itself. At 3:15 am on June 22, the territory of the Lithuanian SSR was invaded by two advancing German army groups: Army Group North, which took over western and northern Lithuania, and Army Group Centre, which took over most of the Vilnius Region. 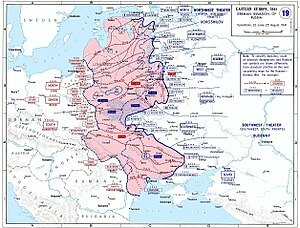 The Germans amassed some 40 divisions, 700,000 troops, 1,500 tanks, and 1,200 airplanes for the attack on the Lithuanian SSR. The Soviets had about 25 divisions, 400,000 troops, 1,500 tanks, and 1,344 airplanes in the Baltic Military District. 7 rifle and 6 motorized divisions from the 8th and 11th Armies were located within the Lithuanian territory. The first attacks were carried out by Luftwaffe against airports, airfields, and Lithuanian cities (Kėdainiai, Raseiniai, Karmėlava, Panevėžys, Jurbarkas, Ukmergė, Šiauliai, and others). These attacks claimed the lives of some 4,000 civilians. Most of the Soviet aircraft were destroyed on the ground (322 airplanes were lost in air versus 1,489 destroyed on ground). The Germans rapidly advanced forward encountering only sporadic resistance from the Soviets near Kaltinėnai, Raseiniai, Šiauliai and assistance from the Lithuanians. In the Battle of Raseiniai, the Soviets attempted to mount a counterattack, reinforced by tanks, but suffered heavy losses. Within a week, the Germans sustained 3,362 casualties, but controlled the entirety of Lithuania. Soviet losses were heavy and not known precisely; the estimates put them at 12–15 divisions. The Red Army also lost numerous aircraft, tanks, artillery, and other equipment. Despite the generally friendly Lithuanian attitude, the Germans carried out several punitive executions. For example, 42 civilians from Ablinga village were murdered in response to German deaths. After two German guards in Alytus were shot by unknown perpetrators, the Nazis shot 42 Lithuanian rebels. The terror in Alytus continued to the next day: the Germans selected men, age 15–50, and executed them in groups of 20–25. More atrocities were carried out by the retreating Red Army. About 4,000 political and criminal prisoners, arrested during the first Soviet occupation, were to be transported to Russia. 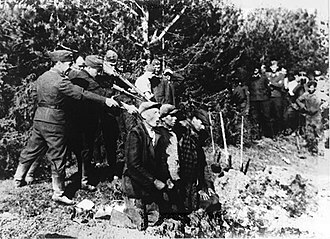 NKVD organized prisoner massacres in Rainiai, Pravieniškės, Panevėžys. A total of 40 locations of mass killings have been identified in Lithuania. Many others were killed en route to Soviet prisons. The largest such massacre took place near Chervyen in present-day Belarus. A list of NKVD victims in Lithuania, compiled during the Nazi occupation, includes 769 people that did not participate in the uprising. After the occupation, the Lithuanian Diplomatic Service did not recognized the new occupants authority and started the diplomatic liberation campaign of Lithuania. In 1941, Kazys Škirpa, Leonas Prapuolenis, Juozas Ambrazevičius and their supporters, including the former Commander of the Lithuanian Army General Stasys Raštikis, whose wife was separated from their 1-year-old daughter and brutally interrogated by the Soviets at Kaunas Prison, and his father Bernardas Raštikis, three daughters, two brothers and sister were deported to Siberia, began organizing an uprising. The uprising began in early morning of June 22, 1941, the first day of the war. The main forces of the LAF were concentrated in Kaunas. At 10 am LAF held a meeting in Žaliakalnis, dividing the responsibilities. It was decided that the main goal is not to fight with the Russians, but to secure the city from inside (secure organizations, institutions, enterprises) and declare independence. By the evening of June 22, the Lithuanians controlled the Presidential Palace, post office, telephone and telegraph, radio station and radiophone. Control of the telephone allowed Lithuanians to disconnect all known communist numbers and talk to each other without passwords or codes. The radio station was sabotaged by the Russians, therefore repair works were carried out during the night from June 22 to 23. Spare parts were delivered by medical students, driving an ambulance. Despite fears of inadequate Lithuanian forces guarding the radio, in the morning of June 23, Leonas Prapuolenis read the declaration of Lithuanian independence and the list of members of the Provisional Government. The broadcast was repeated several times in Lithuanian, German, and French. At 9:28 AM Tautiška giesmė, the national anthem of Lithuania, was played on the radio in Kaunas. Many people listened to the Lithuanian national anthem then with tears in their eyes. Multiple Red Army divisions stationed in the Lithuania's territory, including the brutal 1st Motor Rifle Division NKVD responsible for the June deportation, and the marionette Lithuanian SSR regime commanders were forced to flee into the Latvian SSR through the Daugava river. Commander of the Red Army's 188th Rifle Division colonel Piotr Ivanov reported to the 11th Army Staff that during the retreat of his division through Kaunas "local counterrevolutionaries from the shelters purposefully and severely fired to the Red Army, the flocks suffered heavy losses of soldiers and military equipment". In the morning of June 23, 1941, the rebels raided a Soviet armory in Šančiai, Panemunė, and Vilijampolė. Now armed, Lithuanians spread throughout the city. The Vilijampolė Bridge across the Neris River received special attention from the rebels as they expected the Germans to enter the city using this bridge. When the Lithuanians got to the bridge, it was already wired with explosives. 40 Soviet troops and three armored vehicles protected the bridge and waited for the right moment to detonate. When the Soviets retreated a bit after facing Lithuanian fire, Juozas Savulionis ran to the middle of the bridge, cut the wires, and thus saved it from destruction. On his way back Savulionis was shot and killed by Soviet fire, becoming one of the first victims of the uprising. The bridges across the Neman River were prematurely destroyed by the retreating Soviets. This forced units of the Red Army in Suvalkija to bypass Kaunas and possibly saved the rebels in the city. The Metalas Factory became the headquarters of the Šančiai rebels, who attempted to stop Russian soldiers from crossing the Neman River by boats or building a pontoon bridge. 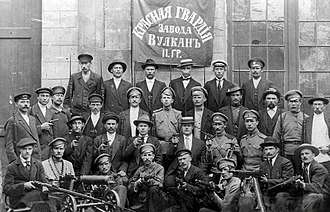 During these fights about 100 rebels were killed, 100 Soviet troops (including several officers) were taken prisoner, and a large booty of equipment (including three tanks but no one knew how to operate them) was captured. Other groups secured police stations, shops, warehouses, attempted to re-establish general order in the city. The rebels hastily organized their own police and freed some 2,000 political prisoners. They also organized publication of daily Į laisvę (Towards Freedom). On June 24, 1941, tank units of the Red Army in Jonava were ordered to retake Kaunas. The rebels radioed the Germans for assistance. The units were bombed by Luftwaffe and did not reach the city. It was the first coordinated Lithuanian–German action. The first German scouts, lieutenant Flohret and four privates, entered Kaunas on June 24 and found it in friendly hands. A day later the main forces marched into the city without obstruction and almost in a parade fashion. On June 26, German military command ordered to disband and disarm the rebel groups. Two days later Lithuanian guards and patrols were also relieved of their duties. According to self-registration in July, there were about 6,000 rebels, spontaneously organized into 26 groups in Kaunas. The largest groups numbered 200–250 men. 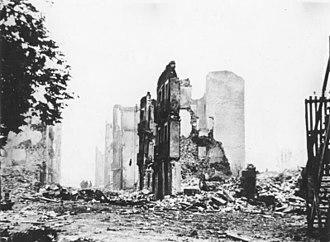 Total Lithuanian casualties in Kaunas are estimated at 200 dead and 150 wounded. In Vilnius, LAF had been dismantled by Soviet arrests just before the war and Lithuanians formed only a small minority of the city's population. Therefore, the uprising was smaller in scale and started on June 23. The rebels took over the post office, radio station, and other institutions, and hoisted the Lithuanian flag over the Gediminas' Tower. It was relatively easy to take control of Vilnius as most units of the Red Army were located outside the city and retreated rather quickly. The first German units entered the city on June 24. The 7th Panzer Division, commanded by Hans Freiherr von Funck, expected that the Red Army would resist in Vilnius and made plans to bombard the city. There were about 7,000–8,000 of ethnic Lithuanians in the 29th Rifle Corps, formed after the dissolution of the Lithuanian Army in 1940. Majority of them deserted and started gathering in Vilnius from June 24. The 184th Rifle Division, dislocated near Varėna, was one of the first to face the advancing Germans. Taking advantage of chaos among the Russian officers, Lithuanians managed to separate from the main corps with only few losses and gathered in Vilnius. Only 745 soldiers of the 184th Rifle Division reached Russia. The 179th Rifle Division was ordered to retreat from Pabradė–Švenčionėliai towards Pskov. On June 27, the division crossed the Lithuanian border and Lithuanian soldiers mutinied. At least 120 Lithuanians were killed in various shoot outs while attempting to desert. About 1,500 to 2,000 soldiers (out of 6,000) of the 179th Rifle Division reached Nevel. 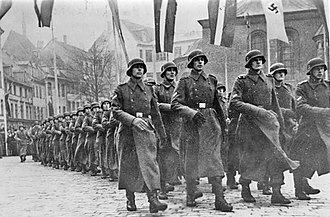 Lithuanians hoped that these deserters would form the core of the new Lithuanian Army; however, the troops were organized into Police Battalions and employed by the Germans for their needs, including perpetration of the Holocaust. The uprising spread to other cities, towns, and villages. Level of the rebel activities varied greatly across Lithuania and the uprising was less organized, more spontaneous and chaotic. Men joined the uprising even though they never heard of the LAF or organized resistance in Kaunas. In most areas the rebels followed the pattern set in Kaunas and Vilnius: take control of local institutions (most importantly, the police) and secure other strategic objects. The rebels also arrested Soviet activists, freed political prisoners, and hoisted the Lithuanian flags. Lack of guns and ammunition was felt almost everywhere; the main way to obtain guns was to disarm surrendered Soviet troops. Most active rebels were in the districts of Švenčionys, Mažeikiai, Panevėžys, and Utena. In some areas, like Šiauliai, there were no noticeable rebel activities. Once Germans entered a settlement they would disarm the rebels. However, some local institutions (police, various committees) de facto established by the rebels were later legalized de jure. During the Soviet era, the rebels were persecuted and the uprising was censored out of the history books. Memoirs and studies published mainly by Lithuanian-Americans inflated the total number of the Lithuanians activists to 90,000 or 113,000 and casualties to 2,000 or 6,000. After Lithuania regained independence in 1990 and new documents became available, historians have revised the estimates to 16,000–20,000 active participants and 600 casualties. Most of the rebels were young men, between 18 and 25 years old. 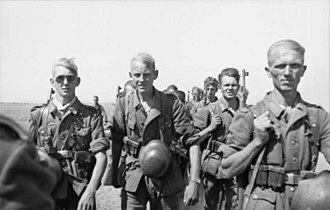 Soviet losses are estimated at 5,000 men. On June 23, 1941 at 9:28 AM Tautiška giesmė, the national anthem of Lithuania, was played on the radio in Kaunas. Many people listened to the Lithuanian national anthem then with tears in their eyes. LAF member Leonas Prapuolenis read independence declaration Atstatoma laisva Lietuva (Free Lithuania is Restored) – "Young Lithuania with enthusiasm promises to add up to the Europe organization on the new bases. Lithuanian nation horribly tortured by bolshevik's terror braces creating its future on the ethnic unity and social justice". 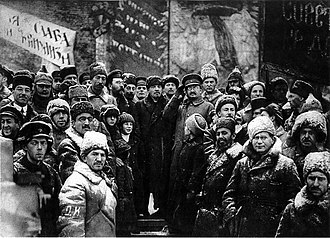 Prapuolenis announced the members of the Provisional Government and also asked the people to guard public and private property, the workers to organize protection of factories, public institutions, and other important objects, and policemen to patrol their territories preserving the general public order. The message was repeated several times in Lithuanian, German, and French. 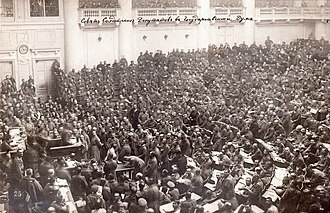 The first meeting of the Provisional Government took place on June 24. LAF activist Juozas Ambrazevičius replaced Kazys Škirpa, who was under house arrest in Berlin, as the Prime Minister. The new government attempted to take full control of the country, establish the proclaimed independence, and start a de-sovietization campaign. During its six-week existence over 100 laws, some prepared in advance, were issued, dealing with de-nationalization of land, enterprises, and real estate, restoration of local administrative units, formation of police, and other issues. The government did not have power in the Vilnius Region, under control of a different army group. Hoping to survive the government cooperated fully with the Nazi authorities. The Provisional Government of Lithuania strongly opposed the Holocaust carried out by the Nazis and its main goal was to protect the citizens and declare the Independence of Lithuania. 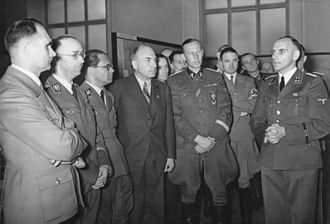 It also tried to rescue the situation and protest, the meant Lithuanian Minister of National Defence General Stasys Raštikis (former Commander of the Lithuanian Army) even met personally with the Nazi Germany Generals to discuss the situation. 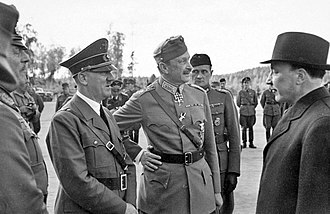 He approached the Kaunas War Field Commandant General Oswald Pohl and the Military Command Representative General Karl von Roques by trying to plead the Jews, however they replied that the Gestapo is handling these issues and that they cannot help. Furthermore, in the beginning of the occupation, Prime Minister of the Provisional Government of Lithuania Juozas Ambrazevičius convened the meeting in which the ministers participated together with the former President Kazys Grinius, Bishop Vincentas Brizgys and others. 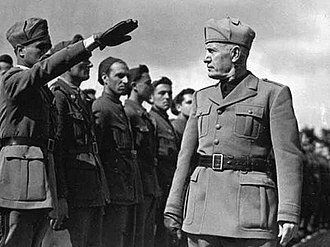 During the meeting, the Nazis were condemned for their actions with Jews and it was decided to help them. Although, the participants of the meeting understood that the help will be very limited, because already in the beginning of the Nazi occupation it was announced that the Jews are crossed out from the competence of Lithuanian institutions. 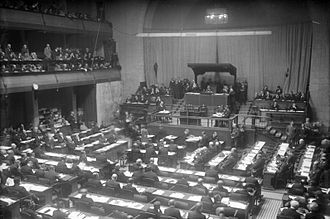 The Germans did not recognize the new government, but also did not take any actions to dissolve it by force (unlike the government of Stepan Bandera in Ukraine). 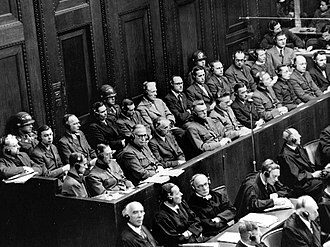 At first German military administration tolerated activities of the government as it did not attempt to take control of civilian institutions. The Reichskommissariat Ostland, German Civil Administration (Zivilverwaltung) was established on July 17. Instead of using brute force, the Civil Administration slowly removed the government's powers (for example, did not allow to print its decrees in newspapers or broadcast radio announcements) and supplanted its institutions, forcing the Provisional Government to either self-disband or to become a puppet institution. Willing to cooperate if that meant recognition and some semblance to autonomy, the government did not agree to become an instrument of German occupation. The government self-disbanded on August 5 after signing a protest for the Germans actions of suspending the Lithuanian government powers. 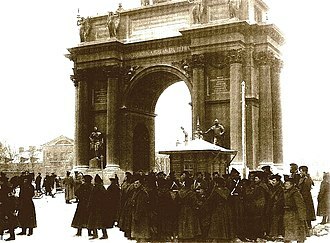 Members of the Provisional Government then in corpore went to the Garden of the Vytautas the Great War Museum, where they laid wreath near the Tomb of the Unknown Soldier in the presence of a numerous audience. Sicherheitsdienst confiscated the pictures of the wreath-laying ceremony, thinking that it could be dangerous for the German occupation policy in Lithuania. Usurpation of the public life continued after the demise of the Provisional Government. The Lithuanian Activist Front was banned in September 1941 and some of its leaders transported to concentration camps. In December the last legal party of Lithuania, pro-Nazi Lithuanian Nationalist Party, was also banned. Most of the laws adopted by the Provisional Government remained paper declarations. However a couple laws that concerned items of no immediate interest of the Germans, including local administration and education, had somewhat lasting effect. The government left developed local administration, staffed with Lithuanians. That allowed some passive resistance when German orders from top could be blocked by the bottom. For example, Lithuanians resisted recruitment to a Waffen-SS division, quotas for forced labor in Germany, or Germanization of Lithuanian schools. Despite the failure to establish independence and meager long-term results, the uprising was an important event. As Kazys Škirpa summarized in his memoirs, the uprising demonstrated the determination of the Lithuanian people to have their own independent state and dispelled the myth that Lithuania joined the Soviet Union voluntarily in June 1940. 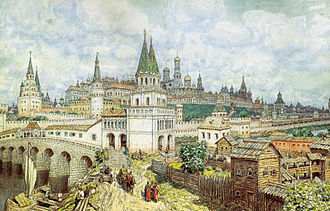 The uprising also contributed to unusually rapid German advances against Russia: Pskov was reached in 17 days. 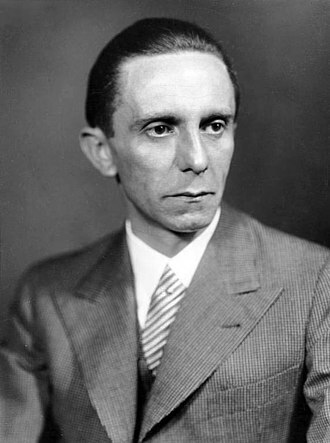 The events of June 1941 also caused some controversies. At the time, Lithuanian diplomats abroad, including former president Antanas Smetona and Stasys Lozoraitis, described the uprising as "Nazi-inspired". These statements might have been in an attempt to persuade United States, Great Britain, and other western powers that Lithuania was not an ally of the Nazis. Its military unit, the Tautinio Darbo Apsaugos Batalionas, was soon employed by the Einsatzkommando and Rollkommando Hamann in the mass executions of Lithuanian Jews in the Seventh fort of the Kaunas Fortress and in the provinces. Jewish survivors and authors accuse members of the LAF, especially in Kaunas but also in other towns, of indiscriminate and gruesome excesses against Jewish residents, often before the Nazis arrived to take control, most notably characterized by the Kaunas pogrom. In 1973, the Committee of the United States Congress made unambiguous conclusions that there is no Prime Minister Juozas Ambrazevičius' guilty in the Holocaust in Lithuania. ^ a b c d Brandišauskas, Valentinas (2002). "1941 m. sukilimas ir nepriklausomybės viltys". Gimtoji istorija. Nuo 7 iki 12 klasės (in Lithuanian). Vilnius: Elektroninės leidybos namai. ISBN 9986-9216-9-4. Archived from the original on 2008-03-03. Retrieved 2009-07-04. 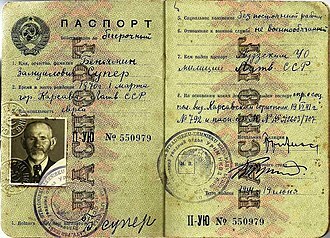 ^ Литва в период германской оккупации 1941 – 1944 г. (in Russian). runivers.ru. Retrieved 2012-07-18. ^ Piotrowski, Tadeusz (1998). Poland's Holocaust: Ethnic Strife, Collaboration with Occupying Forces and Genocide in the Second Republic, 1918–1947. McFarland. p. 164. ISBN 9780786403714. ^ Liekis, Šarūnas (2010). 1939: The Year that Changed Everything in Lithuania's History. New York: Rodopi. pp. 119–122. ISBN 9042027622. ^ J. Lee Ready (1995). World War Two: Nation by Nation. London: Cassell. p. 191. ISBN 1-85409-290-1. ^ Vareikis, Vygantas. "Politiniai ir kariniai Klaipėdos krašto praradimo aspektai 1938-1939 metais" (PDF). Klaipėda University. Retrieved 23 December 2017. ^ Praleika, Aidanas. "Pirmoji pasaulyje „gyvybės vizas" žydams išdavė Lietuva, bet pasaulis to nežino". LZinios.lt. Retrieved 15 November 2017. ^ Verkelytė-Fedaravičienė, Birutė (4 June 2015). "Birutė Verkelytė-Fedaravičienė: Patriarchą užpylėm rankom". 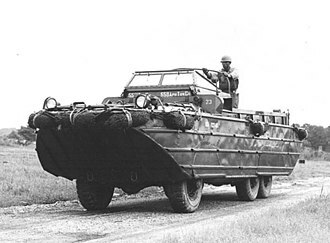 alkas.lt (in Lithuanian). alkas.lt. Retrieved 8 July 2018. Man dėstęs istorikas rašė, kad Lenkija amžinai bus dėkinga Lietuvai už tai, kad nepuolė Lenkijos, kai galėjo, taip pat už tai, kad tūkstančiai žmonių be paso praėjo Lietuvos-Lenkijos sieną. Džiaugiuosi, jog prie šių žmonių išgelbėjimo nuo karo siaubo prisidėjo ir Lietuvos konsulato Vilniuje darbas, kuriame dalyvavau. Lietuvos konsulate Vilniuje dirbdavome nuo ryto iki paryčių. Prasidėjus karui Lenkijoje žmonės vis ėjo ir ėjo, norėdami patekti į Lietuvą, pabėgti nuo atsiritančio per Lenkiją karo fronto. Generalinis konsulas Antanas Trimakas buvo be galo doras ir sąžiningas žmogus, paskirtas į Vilnių prasidėjus lenkų veržimuisi į Lietuvą. ^ Ineta Žiemele, ed. (2002). Baltic Yearbook of International Law (2001). 1. p. 2. ISBN 978-90-411-1736-6. ^ Gureckas, Algimantas. "Ar Lietuva galėjo išsigelbėti 1939–1940 metais?". lrytas.lt (in Lithuanian). Retrieved 30 June 2010. ^ Urbšys, Juozas (Summer 1989). "Lithuania and the Soviet Union 1939–1940: the Fateful Year". Lituanus. 2 (34). ISSN 0024-5089. ^ Łossowski, Piotr (2002). "The Lithuanian–Soviet Treaty of October 1939". Acta Poloniae Historica (86): 98–101. ISSN 0001-6829. ^ Cibulskis, Gediminas. "Lietuvos sostinės atgavimo kaina". 15min.lt. Retrieved 28 October 2009. ^ Richard J. Krickus (June 1997). "Democratization in Lithuania". In K. Dawisha and B. Parrott. The Consolidation of Democracy in East-Central Europe. p. 293. ISBN 978-0-521-59938-2. ^ Prit Buttar. Between Giants. ISBN 9781780961637. ^ "Šimtmečio belaukiant: Reikšmingiausi Pirmosios Lietuvos Respublikos (1918–1940 m.) įvykiai". IstorinePrezidentura.lt. Retrieved 3 November 2017. ^ Juozevičiūtė, Vilma; Trimonienė, Rūta. "Aleksandras Barauskas" (PDF). Genocid.lt. Retrieved 30 January 2018. ^ a b Ašmenskas, Viktoras. "Didžiosios tautos aukos". Partizanai.org. Retrieved 3 November 2017. ^ Šeinius, Ignas. "Kaip raudonarmiečiai įžengė į Lietuvą: apverktinai atrodę kariai ir lygiame kelyje gedę tankai". DELFI. Retrieved 10 December 2017. ^ Antanas Račis, ed. (2008). "Reguliariosios pajėgos". Lietuva (in Lithuanian). I. Science and Encyclopaedia Publishing Institute. p. 335. ISBN 978-5-420-01639-8. ^ a b Knezys, Stasys. "Lietuvos kariuomenės naikinimas (1940 m. birželio 15 d.–1941 m.)". Genocid.lt. Retrieved 14 December 2017. ^ Starinskas, Kęstutis. "Lemtingi metai generolo Raštikio dienoraščiuose". LZinios.lt. Retrieved 16 September 2006. ^ a b Jegelevičius, Sigitas (2004-06-11). "1941 m. Lietuvos laikinosios vyriausybės atsiradimo aplinkybės". Voruta (in Lithuanian). 11 (557). ISSN 1392-0677. ^ Blaževičius, Kazys. "Už laisvę". www.xxiamzius.lt. Retrieved 10 January 2018. ^ a b Narutis, Pilypas (June 1971). "1941 birželio sukilimas Kaune". Aidai (in Lithuanian): 255–258. ISSN 0002-208X. ^ "The History of Lithuania's National Anthem". DRAUGAS NEWS. Retrieved 15 September 2015. ^ "1941 metų Joninės. Šlovės savaitė: kaip lietuviai laimėjo hibridinį karą prieš Kremlių « Lietuvos Žurnalistų draugija". Lietuvos žurnalistų draugija. Retrieved 26 June 2016. ^ Aleksandravičius, Arnoldas. "1941 metų Joninės. Šlovės savaitė: kaip lietuviai laimėjo hibridinį karą prieš Kremlių". Lietuvos kariuomenės kūrėjų savanorių sąjunga (in Lithuanian). Retrieved 26 June 2016. ^ a b Dobkevičius, Kazimieras (2006-11-22). "Dzūkija ir dzūkai Lietuvos istorijos verpetuose". XXI amžius (in Lithuanian). 87 (1487). ^ "Seimo Kronika", 23(162) pp. 5–7. ^ "Kuo reikšmingas 1941 m. birželio 22-28 d. sukilimas?". LLKS.lt. Retrieved 20 June 2014. ^ Jančys, Artūras. "Birželio sukilėliai: didvyriai ir žudikai viename asmenyje?". lrytas.lt (in Lithuanian). Retrieved 23 December 2017. ^ Škirpa, Kazys (1973). Sukilimas Lietuvos suverenumui atstatyti. Highland Blvd., Brooklyn, N. Y., 11207: Franciscan Fathers Press. p. 502. ^ a b J. G. (June 1975). "1941 m. sukilimo istorija". Aidai: 287. ISSN 0002-208X. ^ Zemlickas, Gediminas (2000-03-09). "Apie Birželio sukilimą ir Lietuvos laikinąją vyriausybę". Mokslo Lietuva (in Lithuanian). 5 (207). ISSN 1392-7191. Archived from the original on 2006-05-18. ^ Knezys, Stasys (2000). "Kauno karo komendantūros Tautinio darbo batalionas 1941 m." Genocidas ir rezistencija (in Lithuanian). 7 (1). ISSN 1392-3463. ^ Greenbaum, Masha (1995). The Jews of Lithuania: A History of a Remarkable Community 1316–1945 (9th ed.). Israel: Gefen Books. p. 307. ISBN 965-229-132-3. Anušauskas, Arvydas; et al., eds. (2005). Lietuva, 1940–1990 (in Lithuanian). Vilnius: Lietuvos gyventojų genocido ir rezistencijos tyrimo centras. ISBN 9986-757-65-7. Bubnys, Arūnas (1998). Vokiečių okupuota Lietuva (1941–1944) (in Lithuanian). Vilnius: Lietuvos tautinis kultūros fondas. ISBN 9986-757-12-6. Gerutis, Albertas, ed. (1984). Lithuania: 700 Years. translated by Algirdas Budreckis (6th ed.). New York: Manyland Books. ISBN 0-87141-028-1. LCC 75-80057. Misiunas, Romuald J.; Rein Taagepera (1993). The Baltic States: Years of Dependence 1940–1990 (expanded ed.). University of California Press. ISBN 0-520-08228-1. 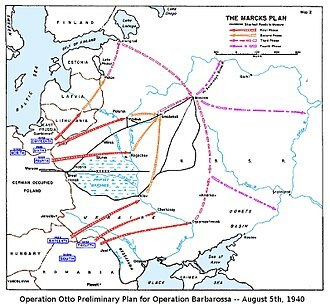 The Soviet occupation of the Baltic states covers the period from the Soviet–Baltic mutual assistance pacts in 1939, to their invasion and annexation in 1940, to the mass deportations of 1941. In September and October 1939 the Soviet government compelled the much smaller Baltic states to conclude mutual assistance pacts which gave the Soviets the right to military bases there. Following invasion by the Red Army in the summer of 1940, the presidents of Estonia and Latvia were imprisoned and died in Siberia. Under Soviet supervision, new puppet communist governments and fellow travelers arranged rigged elections with falsified results, shortly thereafter, the newly elected peoples assemblies passed resolutions requesting admission into the Soviet Union. In June 1941 the new Soviet governments carried out mass deportations of enemies of the people, consequently, at first many Balts greeted the Germans as liberators when they occupied the area a week later. The Soviets pressured Finland and the Baltic states to conclude mutual assistance treaties, the Soviets questioned the neutrality of Estonia following the escape of a Polish submarine from Tallinn on 18 September. A week later, on 24 September 1939, the Estonian foreign minister was given an ultimatum in Moscow, the Soviets demanded the conclusion of a treaty of mutual assistance to establish military bases in Estonia. The Estonians had no choice but to allow the establishment of Soviet naval, the corresponding agreement was signed on 28 September 1939. Latvia followed on 5 October 1939 and Lithuania shortly thereafter, on 10 October 1939, in 1939 Finland had rejected similar Soviet demands for Finland ceding or leasing parts of its territory. Consequently, the Soviet Union attacked Finland, starting the Winter War in November, the war ended in March 1940 with Finnish territorial losses exceeding the pre-war Soviet demands, but Finland kept its sovereignty. The Baltic states were neutral in the Winter War and the Soviets praised their relations with the USSR as exemplary. The Soviet troops allocated for military actions against the Baltic states numbered 435,000 troops, around 8,000 guns and mortars, over 3,000 tanks. The Seimas of the Republic of Lithuania, or simply the Seimas, is the unicameral parliament of Lithuania. Its 141 members are elected for a term, with 71 elected in individual constituencies. A party must receive at least 5%, and a multi-party union at least 7%, following the elections in 2016, the Lithuanian Farmers and Greens Union is the largest party in the Seimas, forming a ruling coalition with the Social Democratic Party of Lithuania. The Seimas traces its origins to the Seimas of the Grand Duchy of Lithuania, the first Seimas after the restoration of independence of Lithuania convened in 1992. The Seimas of the Republic of Lithuania exercises legislative power in Lithuania, the powers of the Seimas are defined by the Constitution and the laws of Lithuania. The primary function of the Seimas is to consider and issue laws, the Seimas approves the state budget proposed by the Government, supervises its implementation, and sets state taxation. In foreign relations, the Seimas ratifies international treaties, decisions of the Seimas are taken in open simple majority votes. In some cases prescribed by law, a ballot is held. Constitutional laws are adopted by the Seimas in a majority vote, the list of constitutional laws needs to be approved in a 3/5 majority vote. Changes to the Constitution itself need to be approved in two separated by no less than three months, by a 2/3 majority. Changes to international borders of Lithuania need to be approved by 4/5 of the members of the Seimas, the Seimas approves or rejects the candidate for the Prime Minister nominated by the President. The Seimas must give its assent to the newly formed Government, the Government remains accountable to the Seimas for its activities. If the Seimas expresses no-confidence in the Prime Minister or the Government as a whole, the Seimas appoints and dismisses justices and presidents of the Constitutional Court, the Supreme Court and the Court of Appeals, proposed by the President. In its legislative capacity, the Seimas sets the basis for a judiciary institution advising and, to some extent, the Seimas has 141 members, elected to a four-year term in parallel voting, with 71 members elected in single-seat constituencies and 70 members elected by proportional representation. On 22 June 1941 Nazi Germany attacked the USSR and within weeks occupied the Baltic territories. 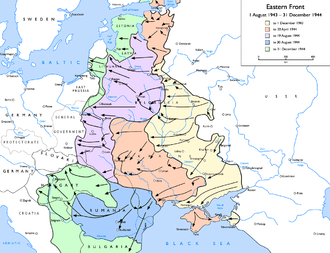 In July 1941, the Baltic territory was incorporated into the Reichskommissariat Ostland of the Third Reich, the Soviet annexation occupation of the Baltic states lasted until August 1991, when the Baltic states regained independence. In its reassessment of Soviet history that began during perestroika in 1989, Russia agreed to Europes demand to assist persons deported from the occupied Baltic states upon joining the Council of Europe. De facto independence was restored to the Baltic states in 1991 during the dissolution of the Soviet Union, Russia started to withdraw its troops from the Baltics in August 1993. The full withdrawal of troops deployed by Moscow was completed in August 1994, Russia officially ended its military presence in the Baltics in August 1998 by decommissioning the Skrunda-1 radar station in Latvia. The dismantled installations were repatriated to Russia and the returned to Latvian control. Early in the morning of August 24,1939, the Soviet Union and Germany signed a ten-year non-aggression pact, the pact contained a secret protocol by which the states of Northern and Eastern Europe were divided into German and Soviet spheres of influence. In the north, Finland and Latvia were assigned to the Soviet sphere, Poland was to be partitioned in the event of its political rearrangement—the areas east of the Narev and San Rivers going to the Soviet Union while Germany would occupy the west. According to this protocol, Lithuania would regain its historical capital Vilnius. 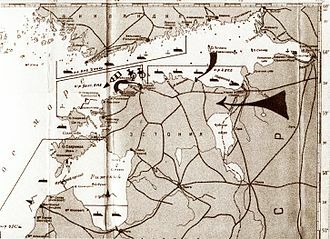 Following the end of Soviet invasion of Poland on 6 October, the Soviets pressured Finland, the Soviets questioned the neutrality of Estonia after the escape of an interned Polish submarine on 18 September. A week on 24 September, the Estonian foreign minister was given an ultimatum in Moscow, the Soviets demanded the conclusion of a treaty of mutual assistance to establish military bases in Estonia. The Estonians had no choice but to accept naval, the corresponding agreement was signed on 28 September 1939. Latvia followed on 5 October 1939 and Lithuania shortly thereafter, on 10 October 1939, in September and October 1939, the Soviet government compelled the Baltic states to conclude mutual assistance pacts which gave it the right to establish Soviet military bases. In May 1940, the Soviets turned to the idea of military intervention. Their model was the Finnish Democratic Republic, a puppet regime set up by the Soviets on the first day of the Winter War, the Soviets organised a press campaign against the allegedly pro-Allied sympathies of the Baltic governments. In May 1940, the Germans invaded France, which was overrun, in late May and early June 1940, the Baltic states were accused of military collaboration against the Soviet Union by holding meetings the previous winter. On 15 June 1940, the Lithuanian government had no choice but to agree to the Soviet ultimatum, president Antanas Smetona proposed armed resistance to the Soviets but the government refused, proposing their own candidate to lead the regime. The Orzel incident covered in the Estonian newspaper "Uus Eesti" (New Estonia). Beach used for Soviet amphibious attack, northwest Sõrve Peninsula.